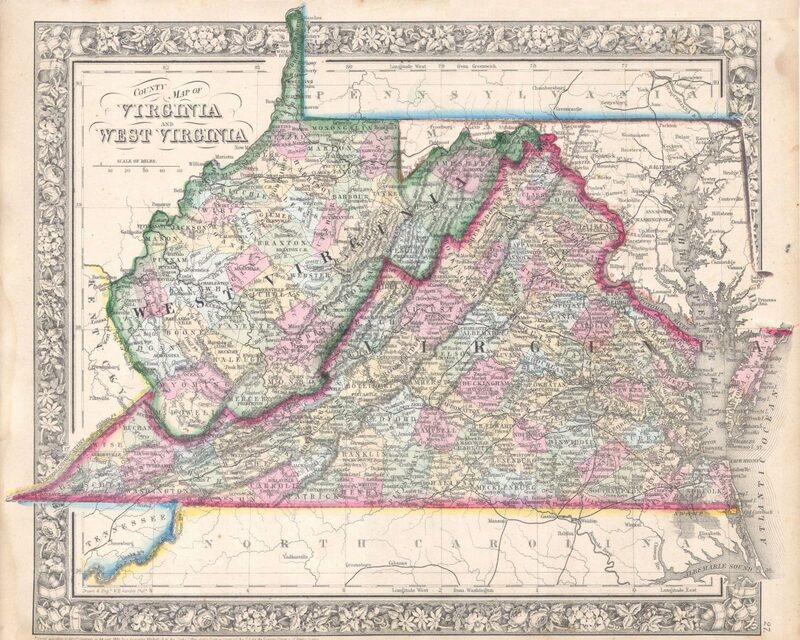 Cartographer William H. Gamble rendered this 1864 map showing Virginia and West Virginia as they appeared just after the Civil War. 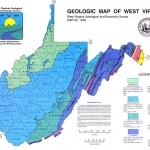 The counties of Mingo, Summers, and Lincoln in West Virginia had not yet been created, and Jefferson and Berkeley counties were not mapped as part of West Virginia. 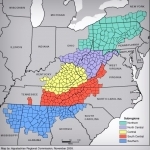 Click here to enlarge the map.